The races are so razer-thin showing that the nation is deeply divided that we are still waiting on some seats to be declared – namely three in the Senate. This is extremely critical on our model because right now it is 51 to 46 and we have a Bearish Reversal at 47 in the Senate for the Democrats. The House appears that they have won but with a lower high than the last time. The declining trend that the Democrats have been in since the Great Depression remains intact. In fact, the major high was their power when they were the party of slavery under Andrew Jackson. If the 47 Bearish Reversal in the Senate is elected, then we are most likely going to see a wave of more independent 3rd party people emerge going into 2024. Currently, there are two independents in the Senate who vote with the Democrats so they are not really independent. We will clearly witness extreme obstruction from the Democrats and they will use their subpoena powers in the House to intensify their investigations of Trump is a desperate effort to discredit him whenever possible to set up the 2020 election. The Democrats will prevent the passage of legislation that would make the GOP and Trump look good for 2020. So this is not going to be about what is good for the country, but just how to win in 2020. The new Democratic majority will also have subpoena power, which will help them investigate the Trump administration far more aggressively to try to create any scandal possible. WHat they just did in the Senate with the Supreme Court nomination is just the tip of the iceberg. There is no more civility nor will there be any honesty left in politics. This is how empires, nations, and city-states crumble into the dust. However, since Democrats did not take the Senate, they did not gain the power to block Trump’s Supreme Court, Cabinet, and other nominees for the next two years. So Trump will continue to have the upper hand in confirming judges to lifetime posts. 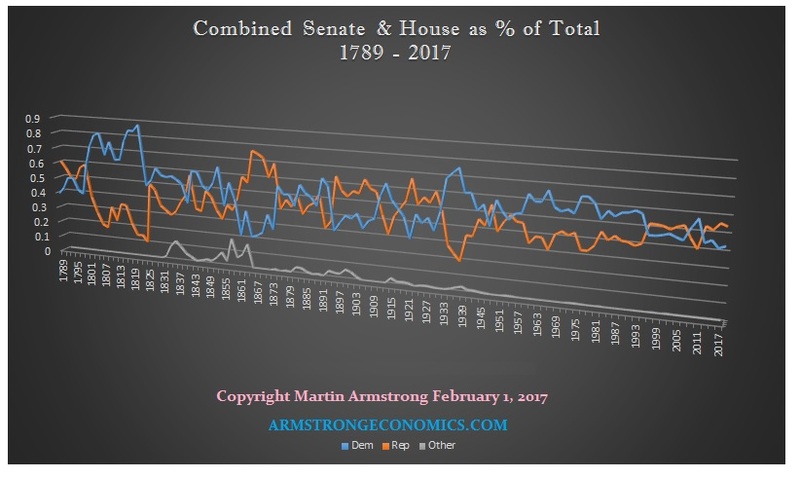 The majority of the real power lies in the Senate, not in the House. We will run the model when we get the final numbers.